Petunias are one of the most popular garden flowers. Petunias require little maintenance and come in a huge range of colors, including black! If you want your flower bed to burst with color, it is the perfect flower to include. Even though they are colorful, you’ll know that those blossoms tend to die off quickly, leaving an unsightly deadhead on top. Gardeners should remove these deadheads until you want the plant to stop producing blossoms, leaving a green stem in your garden for the rest of the growing season. The only way to ensure your petunias continue to produce colorful blossoms all season is by learning how to deadhead petunias. Let’s take a look! 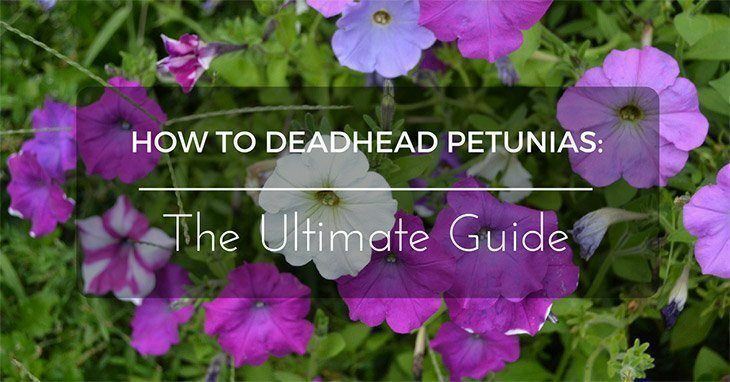 Why Do You Need to Deadhead Petunias? Which Varieties of Petunias Need to be﻿ Deadheaded? Perhaps you selected petunias because you wanted a flower you could plant and forget. While petunias are very easy to care for, deadheading is important. The goal of any plant is to reproduce itself, which is why it forms seeds towards the end of its lifespan. 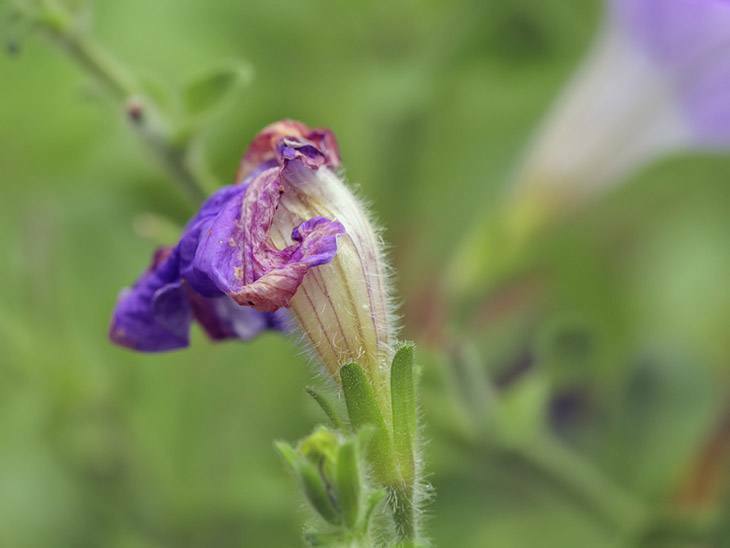 Once the petunia blooms turn brown and die, the plant turns its energy toward creating a seed pod filled with seeds. 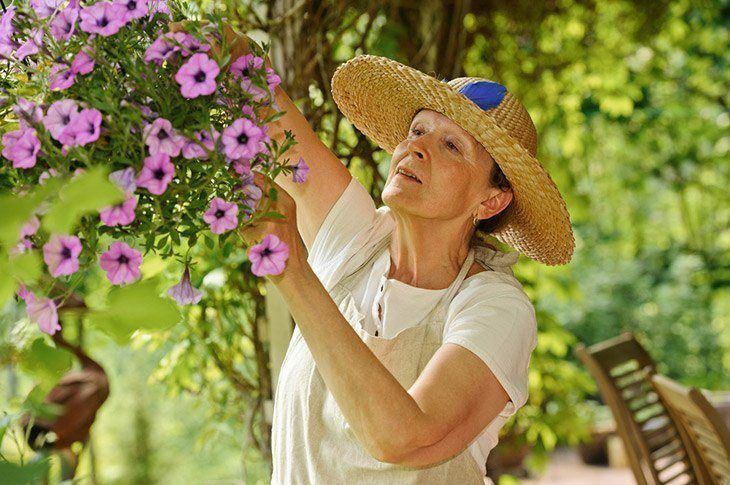 Unless you want the seeds to form so you can grow your petunias at home, clipping off the deadheads redirects the energy back to creating blooms. The plant will stop forming the seed pod and go back to producing those colorful blossoms. If you continue to do this throughout the growing season, your plant will continue to grow and blossom with color all season! Grandiflora: These are largest petunias with trumpets as wide as four inches each. Most of the older varieties are Grandiflora with the ruffled petal edges. Some of the newer types, such as Surfinia Series, are energetic growers and don’t require deadheading as often. If you purchase the older types, they are more likely to experience damage from rain and wind. Opting for a sheltered location will let them live longer. Multiflora Types: If you select a multiflora petunia, the blossoms tend to be two inches wide. These species are tough, weather tolerant and more numerous in number. Carpet Series and Primetime Series are two popular choices in this category. Instead of needing deadheading, multifloras are self-cleaning flowers that let the dead blossoms fall right off when done. Floribunda Petunias: Floribunda petunias fall between Grandiflora and Multiflora in the size of the flowers. They are strong growers, but they are not self-cleaning, so you will need to spend time regularly deadheading the plants. Wave Petunias: Many people purchase wave petunias because they create a huge mass of color that lasts for an entire season. These petunias differ from other varieties because they reach five to seven inches tall, but they spread out almost three feet wide! Wave petunias come in a multitude of variations including Cool Wave, Shock Wave, Easy Wave, Double Wave and Tidal Wave. The best reason to purchase Wave petunias is that they require no deadheading. Yes, you read that correctly! The flowers wilt and dry up, then they will fall off on their own. Soon, a brand new blossom takes its place with no work from you. Wave petunias will need pruning at some point throughout the season because it will look leggy around midsummer. Cut them back to half of their length. Learning how to remove deadheads is quite easy. Once you get started, it is a monotonous task that even children can do if taught properly. There are different methods, such as pinching and using shears. Let’s take a look. Check the petunias: Each week, you should take a few minutes to look over your petunia plants. They won’t all deadhead at the same time. You are looking for flowers that look to be wilting. Some of the petals may have dropped to the grow. If you waited extra time, there could be seedpods along the stem. Try Pinching First: Newer gardeners may feel more comfortable pinching deadheads rather than using shears. Cutting your beautiful plant can seem scary. Look for the new blooms which are typically above the dead ones. Pinch about ¼ inch above the bud. Using your thumb and forefinger, gently pull. Deadheads come off very easily. Move onto Using Pruning Shears: Once you are used to pinching deadheads off, move onto the shears. They are effective and easy to use once you feel confident. Make sure that your shears are sharpened. Plants handle a sharp cut better. 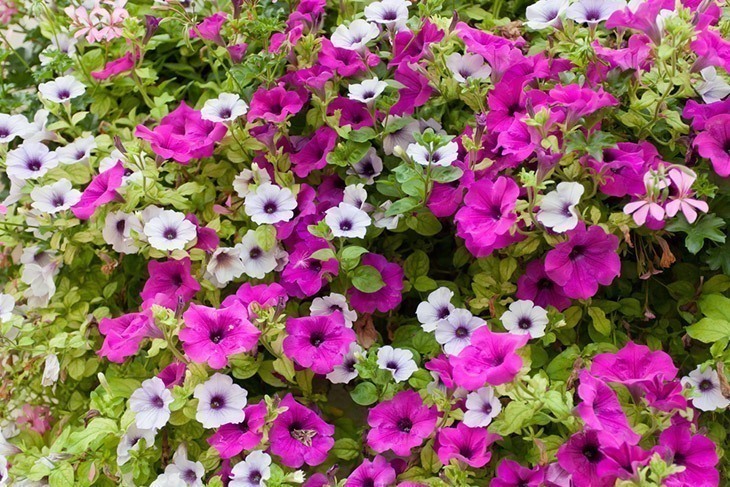 Repeat with Each Plant: Depending on the type of petunias you grow, there may be several dead blossoms on each stem. Some will only have one. You should carefully examine each plant, so you don’t miss one. The process you completed before is the same for each one! Leggy Petunias: Mid-summer, you might notice that your stem is getting leggy and hanging towards the ground. If you see this, you should pinch off the growing tips. Hold the stem gently and look for the thickest bud. This part of the plant is actively growing because it is typically at the top of the plant. Pinch it between your thumb and forefinger, removing it totally. You could also use shears to cut off the top three to five inches. Although it might seem wrong to take off a living part of the plant, it is necessary to ensure proper and healthy growth. Pro Tip: Petunias in containers are more prone to leggy development. If you want to keep these petunias looking beautiful, you should deadhead them more often. Watch them closely and prune when growing too tall. Compost: After you finished deadheading all of your petunias, add the dead blossoms to your compost. There is no reason to throw them in the trash when they are a great material for composting! After you remove deadheads or prune the petunia plant, you should use a 10-10-10 fertilizer that is water soluble designed for blooming plants. Also, make sure to give them a healthy watering because it encourages new growth. If you are using pruning shears, clean them after each use. Sometimes, plants have diseases or fungi. Using uncleaned shears could transfer diseases. Petunias need as much sunlight as possible. If your plants aren’t producing blooms, you might need to replant them in a sunnier area of the garden. Every gard﻿en needs to have a variety of petunias. They are inexpensive, easy to grow and spread color throughout your flower beds. Learning how to deadhead petunias is an easy task. Once you have done it the first time, it will seem like a simple chore. It is so easy to understand that you can pass the task onto your children! Do you have petunias? We would love to hear from you about growing them! Let us know about your experiences in the comments.